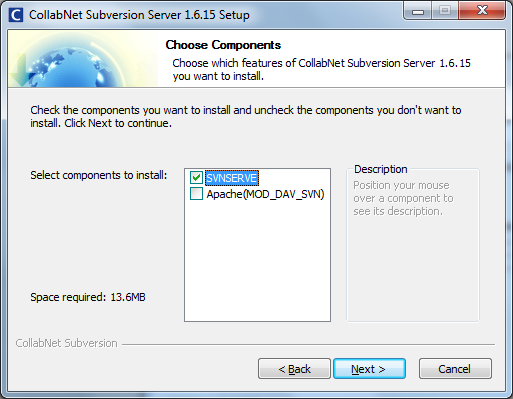 Download and install the CollabNet SVN server and command-line client package on your server. At the time of writing this, the latest stable version was 1.6.15. Make sure port 3690 is open on your server if you have a firewall. 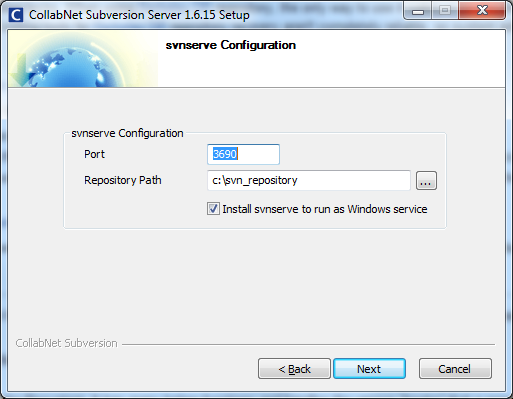 Start the “CollabNet Subversion svnserve” windows service and you’re server is good to go! Download and install TortoiseSVN on your client machine. Allows you to access the SVN server and integrates into the windows shell. All default options are fine. 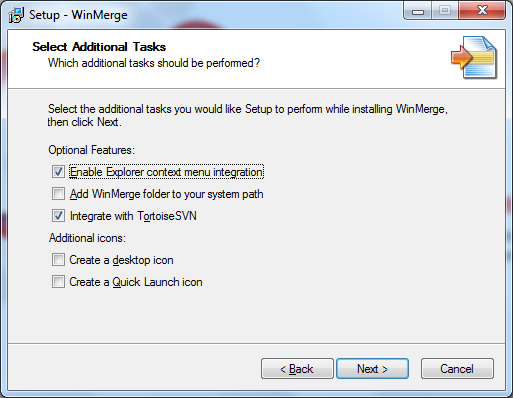 Download and install WinMerge on your client machine. The TortoiseSVN integration allows WinMerge to handle diff’ing of code history.